Legend Chuck Norris - Ultimate Fan Website. Web Master : Teru. Happy Birthday!! 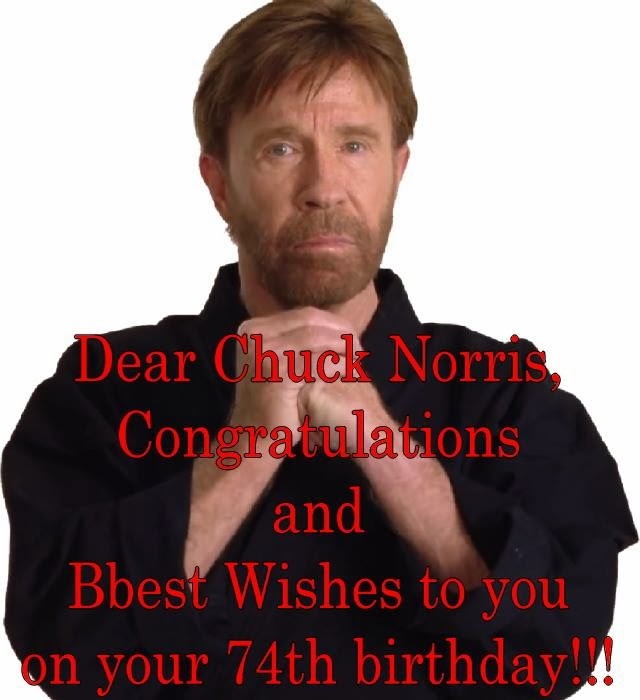 Dear Chuck Norris, Congratulations and best wishes to you on your 74th birthday. Jean-Claude Van Damme & Chuck Norris Martial Arts Practice!!! Do Martial Arts have a place in a society full of Guns? Do Martial Arts have a place in a society full of Guns ? "Invasion U.S.A" Super Rare Promo Photos!!! Merry Christmas to All Chuck Norris Fans!! Super very rare photos from "Braddock: Missing in Action III" (1988). Furthermore add to New Photo Chuck Norris in 2013 Max International Convention!! for Chuck Norris' "THE NOVICE". JJ Perry(Stunt Coordinator) Action Concepts!! Chuck Norris as Booker and Jean-Claude Van Damme as Claude Vilain Do they come back in Next Expendables? Jean-Claude Van Damme, Bill Goldberg and Chuck Norris!!! From WWF old school Wrestling. Jean-Claude Van Damme, Bill Goldberg and Chuck Norris!!! Please Enjoy, Comment, Share or Like!!! © LegendNorris.com. Awesome Inc. theme. Powered by Blogger.